For more than a year we have worked with Roland, Claudia and the team at BTS on a project enabling passengers with vision impairments to get access to timetable information. This project has rolled out some 17,500 bus stops in metropolitan Melbourne and more than 2000 in regional Victoria and has been one of the largest of its type in the world. BTS has provided an outstanding service producing a quality product that has withstood the harsh environment of public transport while maintaining the critical deadlines that we have to achieve in delivering this project to the Victorian Government. We can always rely on BTS to go the extra distance and to accommodate even the most difficult request. As a family owned and operated business BTS has demonstrated that old fashioned reliability and attention to customer service that sets them apart from many other businesses. We would like to thank them for all their hard work. BTS (Aust) was engaged by Diadem to manufacture the Braille signage for the New Royal Children's Hospital project in Melbourne. The scope included custom designs and a series of PMS colour combinations for each level. A late schedule change from the client compounded an already tight programme. The high level of communication from the beginning and the understanding of the design process ensured me that Claudia and the team at BTS (Aust) would go to any length to deliver the order to specification and on programme. The signs were delivered on time, looked fantastic and the client was very happy. I look forward to working with BTS (Aust) in the future and would recommend them to anyone who expects the best in service and quality. The Public Transport Authority used Braille Tactile Signs (Aust) to manufacture and supply aluminium signs for Passenger "Call for Assistance" emergency points on our Prospector railcars. This signage consisted of aluminium plates, punched with the required holes for mounting of equipment such as speakers and switches, engraved with red and black text as well as Braille text. The Braille text was formed by pressing the dots from the aluminium. This has proven to be a more successful method of manufacture than inserting dots into the label; on labels where this latter method of manufacture has been used, we have found the inserted dots get removed by vandals. The final product produced was of high quality and has met all our expectations. Braille Tactile Signs (Aust) produced the signs quickly and efficiently, and were a pleasure to work with. I am writing in reference to BTS and our working relationship with them. Having dealt with BTS for a number of years, we can highly recommend them for any Braille and Tactile services you may require. We have always found them punctual under tight deadlines whilst maintaining the highest quality. Claudia has always been of the greatest help when her expertise is needed in quoting circumstances adding invaluable recommendations when required. CBM Australia wishes to acknowledge the professionalism and assistance we received from your organisation during our recent facility project. The end result has satisfied many of our key requirements in creating a better facility which will better serve people with a disability who work here or visit our facility. This component of our project (Braille and tactile signage) was made very simple with all recommendations considered and implemented. We can confidently say that we now have a facility which is better prepared to cater for people with a sight impairment, a significant part of our key project objectives, which will go toward making our facility compliant with Australian Standards and fully accessible for people with disabilities. Please pass on our thanks to all who were involved with this task. We look forward to engaging your services in future work projects at CBM. We have been using Braille Tactile Signs Australia for a number of years now for all our Braille signage. During this time I have found their service to be very professional and at an absolute high standard. In our trade of signage we generally always require our Braille signage to be made to a certain specification or the signs to be colour coded to match certain branding, this is always done without any drama and the specified colours are always matched exactly. We find BTS to be one of our more frequent (and better) suppliers and would not hesitate in recommending them to anyone else to use. 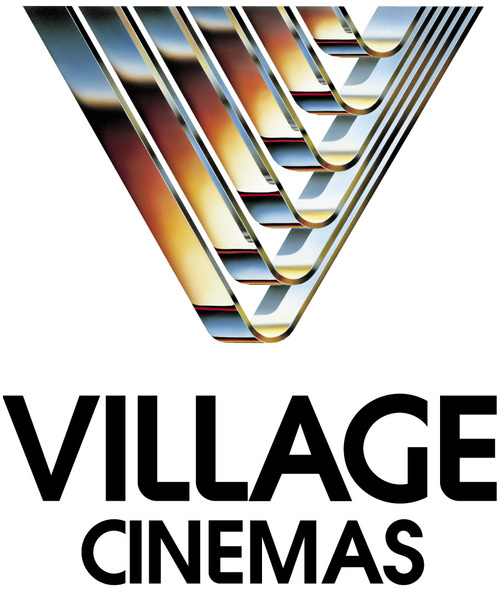 Village Cinemas have contracted directly and through our main contractors the services of A.S.A.D. Precision for specialist signage and metal fabrication since the early 1990's. In this time, A.S.A.D. Precision and BTS (Aust) has successfully provided services for projects for our company, for a large number of cinema and office projects throughout Victoria and on a global scale. They have in the past and continue today to provide a commitment to prompt service, a high standard of workmanship and a willingness to assist in meeting our brief. 'Consolidated Graphics have enjoyed and continue to enjoy a working relationship with Braille Tactile Signs (Aust) for a number of years. In that time we have required signage from Braille Tactile Signs (Aust) for numerous projects. Their cooperation, responsiveness, and keeping to timelines have been a great contribution to us. Their positive 'can-do' attitude had enabled us to provide our customers/clients with Braille and Tactile signage to their satisfaction. We value their high-quality workmanship and we shall continue to use BTS (Aust) for our Braille and Tactile needs. Adherettes have been dealing with BTS (Aust) for many years and have always found them to be knowledgeable about their products and are always ready to help with regards to specifying and tender of projects. With a large range of standard Braille signs and the ability to create custom Braille to suit many applications and to be able to work with lead times and deliver on time we have found them to be a valued supplier and would recommend them for use in your project.